A mother who went toe-to-toe with a cougar that attacked her son on a rural Vancouver Island property is calling it a miracle she could fight off the big cat. 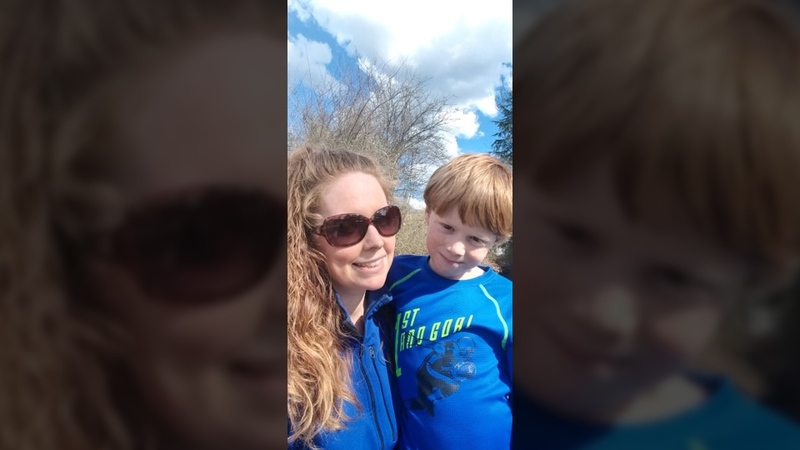 On Friday, Chelsea Lockhart's seven-year-old son Zachery was playing in the family's Lake Cowichan backyard after school when she heard their fence rattle. A juvenile cougar was trying to get through the small wire fence while opening its jaws as it stared down the boy. "In that moment he knew he was in danger, so he started taking off down this alleyway to get to the house," Lockhart said. "It pushed its way through, and you can see the scratch marks on the pole." The mother was in the house at the time and suddenly heard a commotion coming from the yard. "I could hear his voice, I could hear struggling, so I ran down the stairs and ran to his voice and turned the corner, and I see this animal on my child," Lockhart said. When she got outside, she came face to face with a juvenile male cougar trying to drag her son away. Before she even had time to process what was happening, she leapt into action. "He was on the ground and the cougar was over him and it was attached to his arm," said Lockhart. "I had a mom instinct, right? I just leaped on it and tried to pry its mouth open." She fish-hooked the cougar's jaw trying to pry it off, knowing she was possibly fighting for her son's life. "I looked at him and I just thought, 'Oh my god, my kid could die right before my eyes.' All you think is what can you do? What can you do in your own physical strength?" But that's when Lockhart called out for help from a higher power, which she says made all the difference. "I knew that in my own power and my own strength, I wasn't going to be able to pry its mouth open. So I start praying in tongues, and I'm just crying out to the Lord, just this really deep from the depths of inside of me," she said. "Three sentences into me praying, it released and it ran away." The cougar left a four-centimetre gash on the crown of Zachery's head, and also injured his neck and arms. First responders were on scene within minutes and both mother and son were rushed to hospital for treatment. The boy has since received stitches for his head wound and is expected to make a full recovery. "Everybody's recovering today and Zach's resting at his grandma's. We've had so much support from the community that every time I go out, everyone's hugging me and just tearing up, asking how we're doing, and that helps so much," said Lockhart. Both the cougar that attacked the boy and another juvenile male thought to be its brother were destroyed by conservation officers. It is believed they had been separated from their mother for a number of months. A necropsy later revealed that the animals were likely starving at the time. Lockhart said she's convinced it was divine intervention that helped her save her son's life. "Absolutely. There's no mistaking it. I'm trying in my own strength and when I pray, it released. It was just me on the animal. It wasn't my strength that did it," she said. The family has since set up a live trap in its backyard and a live camera in case the mother cougar pays a trip to the area. They're also planning on getting a dog. Lockhart said despite the terrifying encounter, she and her husband aren't going to react by keeping their kids indoors. "If the kids see us as parents being apprehensive and being fearful, then they can imitate that behaviour," she said. "So I'm just constantly reassuring them that the conservation officers dealt with the cougars, and talking to them about normal cougar behaviour and how this is a very odd circumstance." For now, Zachery is staying at a grandparent's home while he recovers, and his five other siblings are doing okay in the aftermath of the attack, Lockhart said. "We're so grateful that Zach is going to be OK and that he's alive. I like to say I'm doing OK because the circumstances could've been a lot worse and we've got our baby boy," she said. Eight people were killed and 94 injured by cougars in B.C. between 1900 and 2018, according to B.C. government statistics.